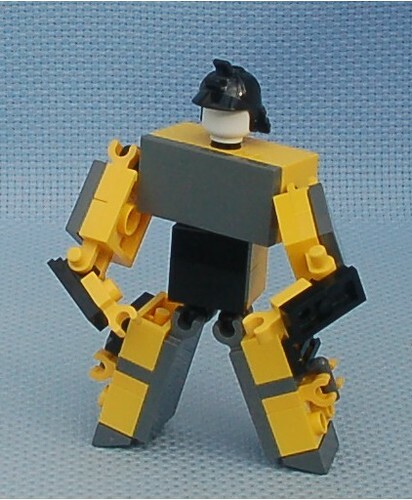 A new frame design that uses ball joints for the shoulders and hips. The legs went through several iterations and the version previous to this was sitting on my desk for ages. The head is a copy of a design by Zerovirus and still needs one piece to be finished. I'll admit, the name could be better. 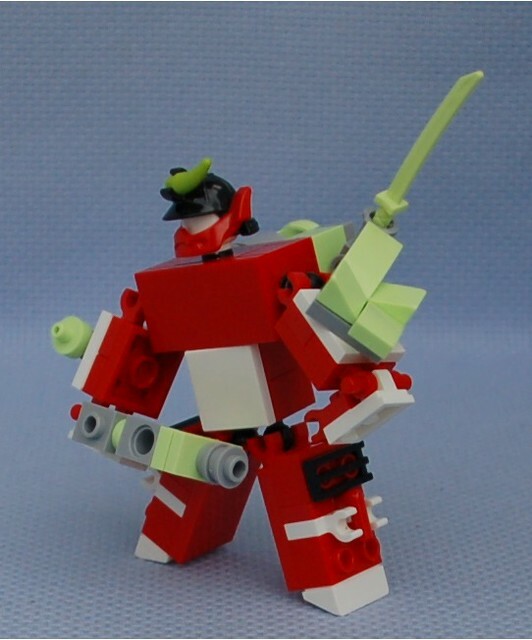 I really like the pieces used for his helmet and the pieces for the legs gives a samurai-feel to me! Really nicely designed! But no sword? 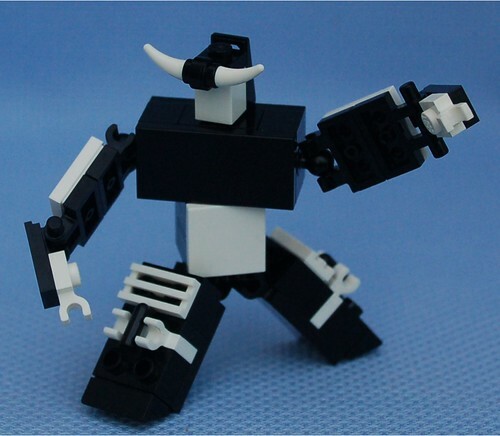 JustBrickin wrote: I really like the pieces used for his helmet and the pieces for the legs gives a samurai-feel to me! My fiance said the same thing about the legs. That's how I came up with the name. JustBrickin wrote: Really nicely designed! JustBrickin wrote: But no sword? I haven't decided on what I want to use for a sword yet. Another version of my Samurai Mk.2 frame, this one required a lot of compromises in terms of color as I just didn't have the parts I needed to keep it as clean looking as the last one. 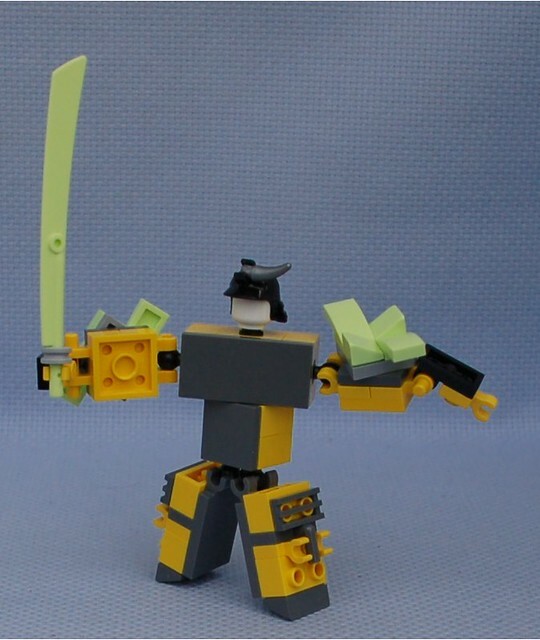 Another version of my Samurai Mk.2 frame. I'm a lot happier with the color choices on this one. 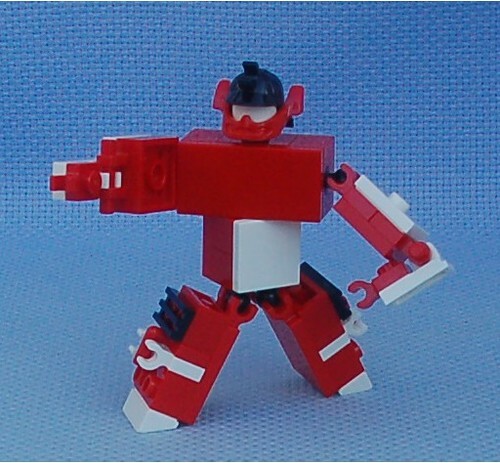 Mobile Frame Zero: Rapid Attack Stats: 2Rd (gun) 1B (armor panel) 1G (booster) 1Y (antenna) 2W + SSR.